One interesting twist in Fallout 76 comes in the form of the death mechanic. In previous games, dying would send you back to a previous save or force you to reload your game. That isn’t the case here, as you can now choose a teammate or camp to spawn on. What’s more, you’ll lose whatever junk you’re carrying (keeping your weapons and armor), so you’ll need to decide if it’s worth heading back to your carcass to pick up the stuff that you dropped. Since some materials are more scarce than others, sometimes it’s definitely worth the hassle. Each Fallout 76 server will support 24 players, so even though the world is massive, you’re bound to run into other people whether you’re grouped up or running solo. While you could leave well enough alone, the devs at Bethesda realized that that’s not everyone’s cup of tea. Fallout 76 supports player-vs-player action, meaning you and your pals can attempt to take down anyone they come across. There’s a twist though: if your targets don’t fire back, you’ll do only a small amount of damage. If you do manage to kill them without any reciprocation, you’ll not only be out of luck when it comes to claiming their loot, but will also be marked as a murderer. If you’re a murderer, you’ll be marked on other players’ maps with a bounty, which will be taken from your bank if they hunt you down. To keep experienced players from battling neophytes, PvP won’t unlock until players hit level 5. 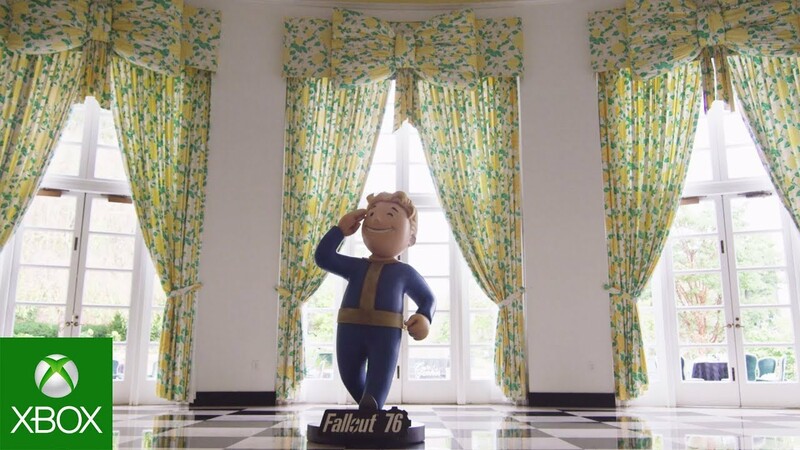 In many ways, Fallout 76 feels like a prequel to a never-before-seen Fallout game. That’s because, unlike Fallout 3 or 4, which took place hundreds of years after the nuclear war, Fallout 76 takes place only a few decades after the end of the world as we know it. This means that you won’t run into any human NPCs, since you and your friends are the first ones out of the vault. Instead, you’ll get quests via environmental storytelling devices like holotapes or collectibles. In many ways, this makes Fallout 76 feel almost like a ghost story, since everyone you’re learning about is assuredly dead. Not surprisingly, Fallout’s S.P.E.C.I.A.L. system has returned, allowing you to customize your character by distributing points across seven different categories. This time out, however, you’ll earn trading card-based perks that can be slotted into each category. So, for example, you might choose to be able to target individual limbs in the VATS system, or automatically use a healing Stimpak if your health falls below 20%, or slow your hunger or thirst degradation (these need to be managed in Fallout 76) while in a camp or workshop. Each card has a numerical value, and you will only be able to slot them if you’ve got enough points left in the corresponding category. Every time you level up, you’ll earn new cards for a variety of categories. As an added bonus, you’ll occasionally earn packs of cards that include a cringe-worthy dad joke!